I recently got a call from my son who started a new job as a rehabilitation therapist in conjunction with a chiropractor. He is learning lots of information, including the in’s and out’s of being a small business owner. His routine for cooking meals, working out, and other tasks, has become a bit challenging. In addition to all of this, he needs sleep. He loves his new life, yet at the same time, his juggling act is not the best. I can. Life gets a bit hectic at times and we feel our routines slipping away. I too, have lost it on more than one occasion. Sometimes it’s a short-term thing. Sometimes, it goes on for…years. My son thought he’d have a handle on all of this within a couple months. Not quite. 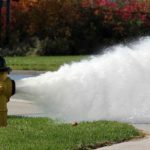 I’ve met people who have been drinking from that fire hydrant much longer than they had ever intended. The reasons vary—children’s activities, work schedules, aging parents, and the list goes on. Our juggling act isn’t as polished as we’d like, and we start dropping those colorful juggling balls. Planning, cooking, exercising, playing, sleeping…all get dropped. Blood pressure, cholesterol, frustration level, and weight…all go up. It doesn’t have to be this way. 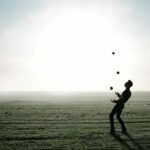 When the right habits FOR YOU are implemented, the juggling act gets much easier. Wouldn’t it be great to enjoy an amazing life without dropping you? Consider what it would be like to feel lighter, healthier, and happier. What if you were able to find space in your day to take a break from juggling and have some fun? I’d love to help you figure out what steps you can take TODAY to create the health and life you truly desire. If you could use some help with your juggling act, shoot me an email and we’ll find a time to chat. Decide now to live your best life. I’ve been talking about breakfast quite a bit lately. Some of the BIG questions: When do I eat it? 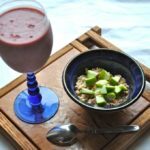 What is best to eat for breakfast? What if I’m not hungry in the morning? How in the world do I find the time? Eat breakfast when you are hungry. For some, that’s first thing. For others, it’s later in the morning. The more important thing is WHAT you eat for your first meal of the day to break your fast. It’s best to include some lean protein, and if you’re real ambitious, some vegetables. Good fats, such as avocado, nuts, olive oil, etc. are a good idea. So what does this look like in real food? Omelets or scrambled eggs with vegetables sautéed in a bit of olive, avocado or coconut oil are ideal. Oh, and be sure to eat the entire egg. One egg gives you 6 grams of protein, along with a multitude of vitamins, minerals and healthy fat. The good stuff is in the yolk. 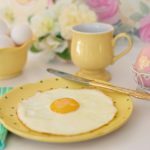 The egg yolk is not the reason for high cholesterol in North Americans. Of course, if you’re a body builder or Rocky Balboa, consuming a dozen eggs at once may be a bit over the top. In that case, have a couple eggs and supplement with the whites. Plain Greek yogurt with added berries, nuts, and granola makes a quick and easy breakfast. Fage is my favorite brand because of the probiotics it provides, along with high protein and low sugar. If the taste is a bit too tart, add a drizzle of honey or 100% maple syrup until your taste buds come around. Hard boiled eggs, whole grain toast or apple slices with nut butter, oatmeal with nuts, berries and a side of cottage cheese, leftovers from the night before, protein shake with added greens (you won’t taste them as long as you have a good blender). I must admit that my toughest meal of the day to get in my vegetables is breakfast. I’m still practicing, so I’ll get better over time. Remember: do just a little bit better. Drink plenty of water. In fact, start your day with a glass or two and you’re off to a good start with your hydration requirements. Make a plan, then follow through with the plan. The painful fact is that if you’re too busy to eat a nutritious breakfast, you’re too busy to be lean and healthy. This means packing your food to eat when you’re ready, instead of leaving it to chance in the work break room or nearest drive-thru. Don’t intentionally skip breakfast to drop body fat. In the long run, those who skip are up to 5 times more likely to be obese than those who make it a daily habit. Click Here for my recipe for Peanut Butter Oatmeal Breakfast Bars, great to make ahead and freeze. They’ve gotten rave reviews, and may help you on those “grab and go” days. In a microwave-safe bowl, combine peanut butter and honey. Heat for about 90 seconds until it stirs easily. Add protein powder and Rice Krispies and mix thoroughly (The mixture will be thick). Press into a 9 x 13 inch pan. Refrigerate for about 1 hour, or until solid enough to cut into bars. Store in refrigerator or freezer. These keep well for weeks in the freezer. Note: You can obviously be as creative as you like with these. Have fun experimenting, as the options are numerous as to what you could add or substitute. I like Arbonne protein because it tastes great, is easily digestible, is gluten and dairy free (if either of those are an issue for you), and contains no artificial sweeteners, colors, or sweeteners. For more information on, or to acquire Arbonne products, send me an email. These bars are good to have on hand in case you need to “grab and go,” or you need a pick-me-up snack during the day. Store them in the freezer so they stay fresh. This helps for portion control too. Protein from the peanut butter and protein powder, smart carbohydrate from the oats, and minimal sugar, make these a winner with me. Preheat oven to 350°F. Grease an 8×8 inch pan and set aside. Microwave the peanut butter and honey in a large glass bowl until smooth, about one minute. Stir well. Let cool a bit while you mix together your dry ingredients. In a separate bowl, combine the oats, oat flour, powdered peanut butter, vanilla protein powder, salt, baking powder, baking soda, and cinnamon. Mix well. Add the vanilla extract and egg yolk to the peanut butter and honey mixture and beat well with an electric mixer. Pour the peanut butter mixture, almond milk, and mini chocolate chips into the dry oatmeal mixture. Stir until the ingredients are well combined. The dough will be thick. Press into the pan and bake until the edges are slightly brown and the mixture is set, about 20 minutes. For the topping, melt the chocolate. Stir in the vanilla protein powder until smooth, and drizzle over the bars. If the mixture is a bit too thick to drizzle, add a bit of melted coconut oil until you reach the desired consistency. Let cool and cut into bars. Makes 12 bars, unless you’re like me and cut them smaller, since I’d rather eat 2 small bars than 1 large bar. Notes: To make these gluten free, I use gluten free oats and gluten free oat flour by Bob’s Red Mill. I use a vegan protein powder (Arbonne), which can be easier to digest than whey, and preferable in the case of a dairy allergy or dairy intolerance. For more information on, or to acquire Arbonne products, shoot me an email and I’ll hook you up.